I’ve added a ton of stuff to the site today. Some of it’s old, some new, and some interesting. I hope you enjoy. First, I’ve updated the Twitter/Instagram Photo section of the gallery. 2017, 2018, and what’s current for 2019 have been added. Next, I’ve added some more BTS filming photos from “Brotherhood” as well as the UHQ version of the poster for “Daughter of the Wolf” along with some BTS photos. There’s also new “Entertaining Christmas” UHQ Stills. Next, I’ve added some new findings from public appearances. First is a photo from Tao Nightclub taken in 2007. Second, more recent is 2018 New Mexico Film & Media Day where Brendan gave a speech. Third is from 2019 New Mexico Film Office Film Rebate Bill Signing. Finally, here are some articles (one old) about the last two public appearances. Father. Husband. 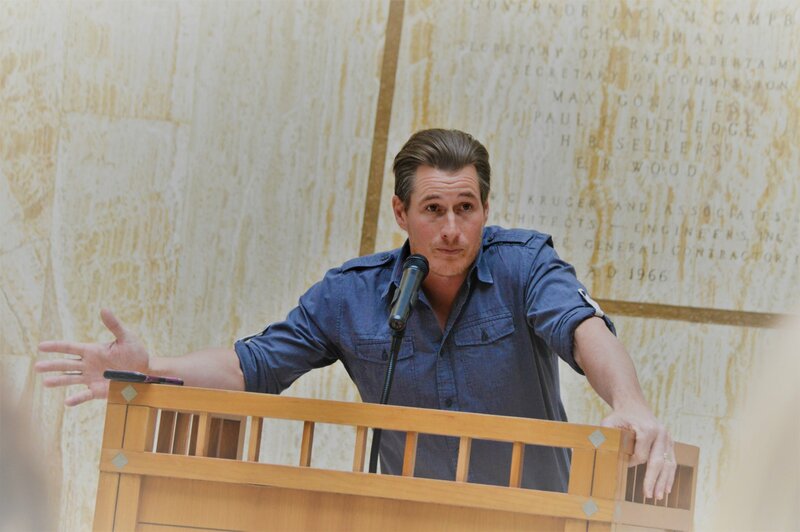 Actor.Those are three aspects of Brendan Fehr’s life that are special to him.He’d like to add one more – New Mexican.“The Night Shift” and “Roswell” actor was the keynote speaker at the annual Film and Media Day at the Roundhouse on Monday. Gov. Michelle Lujan Grisham has doubled down on a plan to remove New Mexico’s annual cap on film rebate spending, saying the move would spark economic growth statewide and could actually give the state more budget certainty.Several actors also spoke Friday in favor of the measure, including Canadian actor Brendan Fehr, who stars in the television series “Roswell,” and Jenny Gabrielle, a New Mexico actress who has appeared in “Only the Brave” and other movies. There’s finally some release info for “Daughter of The Wolf”. 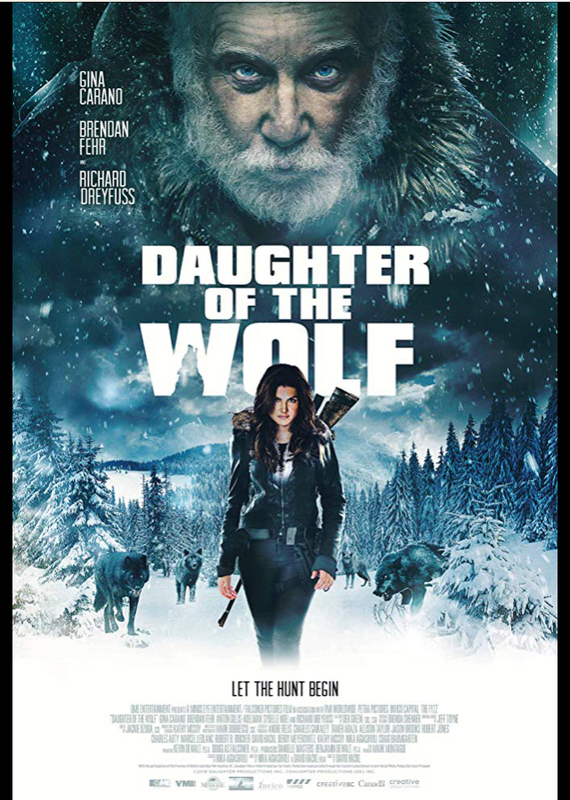 QME Entertainment, and VMI Worldwide, have released the official poster for the highly anticipated action thriller DAUGHTER OF THE WOLF. Starring Richard Dreyfuss, Gina Carano and Brendan Fehr, the film hits theaters in the U.S. on May 10, 2019. After the death of a family member, ex-military specialist, Clair Hamilton, returns home from her tour in the Middle East. When word spreads about Clair’s large inheritance, her son Charlie is kidnapped and held for ransom by a local gang led by a mysterious figure known only as “Father”. Desperate to save her son, Clair captures one of his kidnappers and forces him to lead her on a perilous journey deep into the Alaska Mountains. To rescue her son, she must form an unlikely alliance with the kidnapper and survive the wild of the far North. Dreyfuss (Jaws, Mr. Holland’s Opus) stars as “Father” and Carano (Haywire, Fast & Furious 6) as Clair Hamilton. Fehr (Final Destination, “Roswell”) plays Larsen, the kidnapper turned hostage. Rounding out the cast is Anton Gillis-Adelman (“Designated Survivor,” Birthmarked) as Clair’s son Charlie and Sydelle Noel (“Glow,” Black Panther) as villainous kidnapper, Hobbs. What is CAMEO and how does it work? Check out CAMEO – FREQUENTLY ASKED QUESTIONS for more or read on below. There’s also a CAMEO app to download for those of you on the go! A: Cameo is a platform where fans can book personalized video shoutouts from their favorite celebrities, athletes, or influencers. Our mission is to create the most authentic and memorable fan experiences in the world. Q: What occasions are Cameos good for? A: Cameos are perfect for any occasion! Want to wish your friend Happy Birthday? Roast your buddy? Or just hear from your favorite talent? As long as the request is appropriate, talent will be excited to do your Cameo! Q: Do I get to keep my Cameo? A: Of course! Download your Cameo, share it across your social media pages and save it for life! Once it is sent to your email and texted to you – it is yours forever. Welcome to Brendan Fehr Online (Brendan-Fehr.net); a fansite for the extremely talented Brendan Fehr. You may know him for portraying Michael Guerin in the WB television series Roswell, Jared Booth in Bones, and for portraying Laboratory Tech Dan Cooper in CSI: Miami. He’s currently known for playing Dr. Drew Alister on The Night Shift. Check back for all the latest news, photos and more. A drama based on a true story when the Stirn family lived next to a Nazi POW camp in Wisconsin during W.W.II. A group of Army doctors return to work on the night shift at a hospital in San Antonio. The only normal guy at a paranormal talk radio station quits his dream profession and takes a higher paying, but soul crushing job, to pay for his oddball nephew's college tuition. Zarra’s Law is a compelling story of two brothers on opposite sides of the law. Brendan Fehr Online is purely a fansite. I have no connection with Brendan, his family, or his management. No copyright infringement is ever intended.